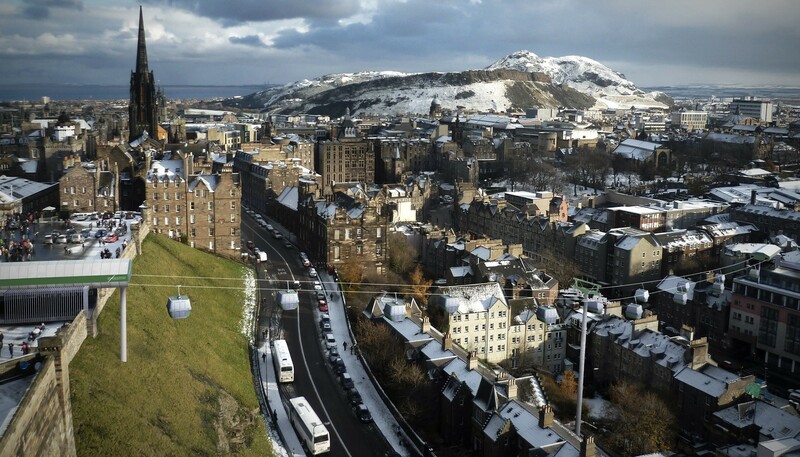 ISA and Apex Hotels have teamed up to transform Edinburgh’s skyline forever by introducing a cable car link between the Grassmarket and the Castle. 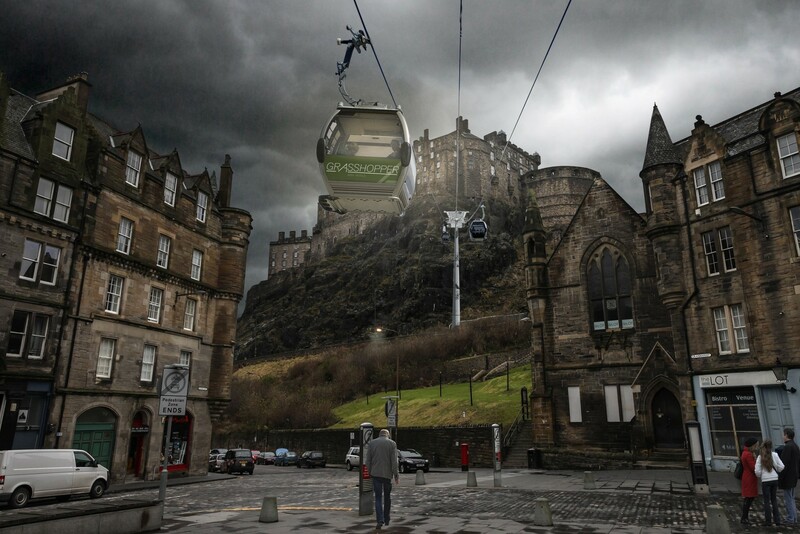 A feasibility study for the aerial link was launched this morning with the intention to introduce up to eight four-person gondolas to ferry guests 200m from the roof of the Apex Grassmarket Hotel to the top of The Royal Mile in just 10 minutes. 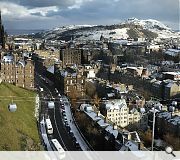 Poppy Cox, Apex Grasshopper project manager, commented: “Tourists love the fact Apex’s Grassmarket hotel offers amazing views of the Castle. But many are often time poor, with only a few days to spend exploring, so now they’ll be able to walk out of their rooms, hop into a gondola and be in the Castle grounds in minutes." 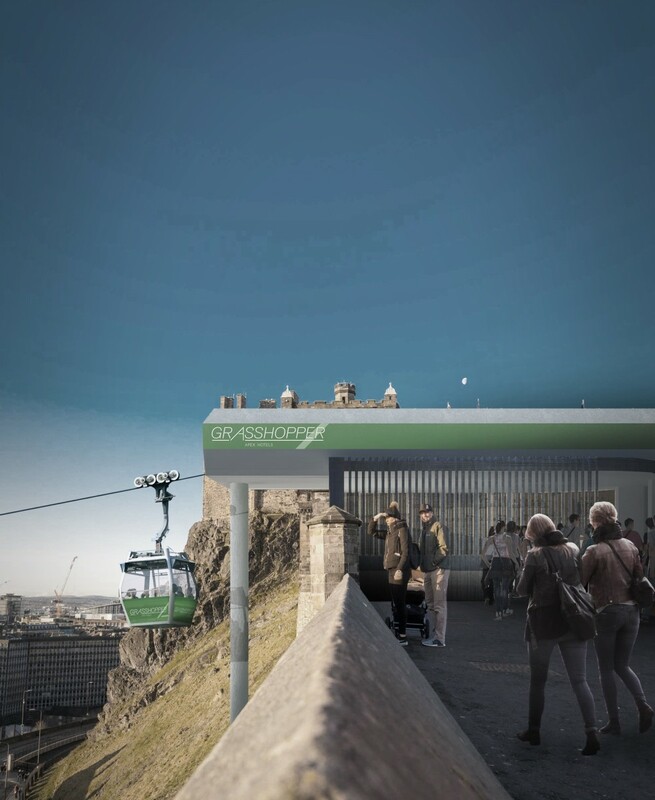 It should be chastening to the vast majority of other schemes on here that the visuals for this April Fool piece are far and above the quality of most other submissions here. Also - outrageous proposal! It's a World Heritage Site for goodness sake! 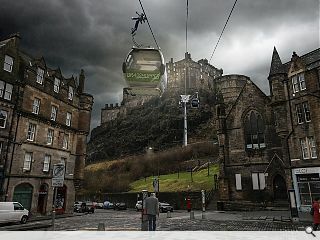 Pity this is an April Fools - it's about the only way you can get around Edinburgh these days. Agree with above - visuals for this fake story are better than most of the low-res guff we see for real projects! This looks pretty good. 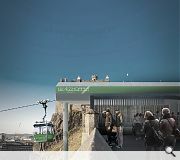 An excellent way to see the city! Shame its an April Fools. Sad thing is, this would actually be kinda useful!